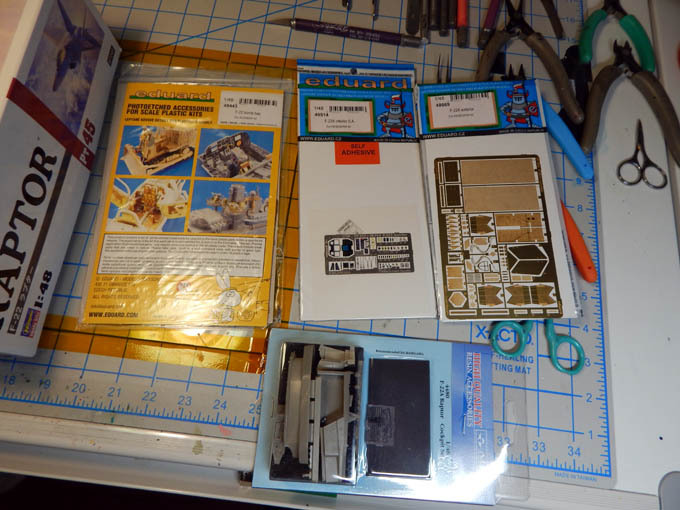 This is the start of the Hasegawa 1/48 F-22 Raptor. 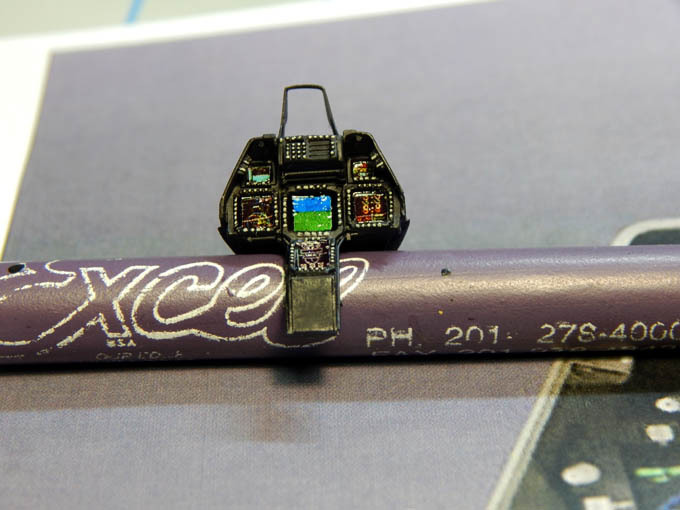 I will also be using Ares resin cockpit and Eduard photo etch to detail this kit. 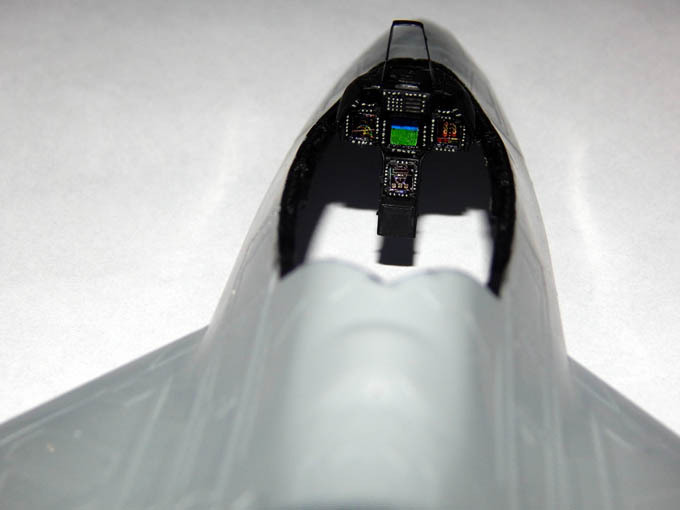 The F-22 Raptor is fourth generation in stealth aircraft technology by the USAF. It is the first operational aircraft to combine super cruise, super maneuverability, stealth, and sensor fusion in a single weapons platform. 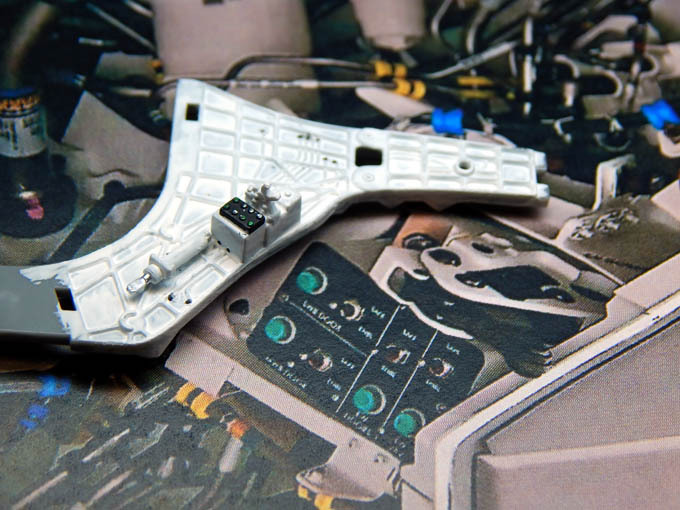 The Ares resin cockpit required the removal of the dash hood/HUD panel so that it can be replaced by the resin part. 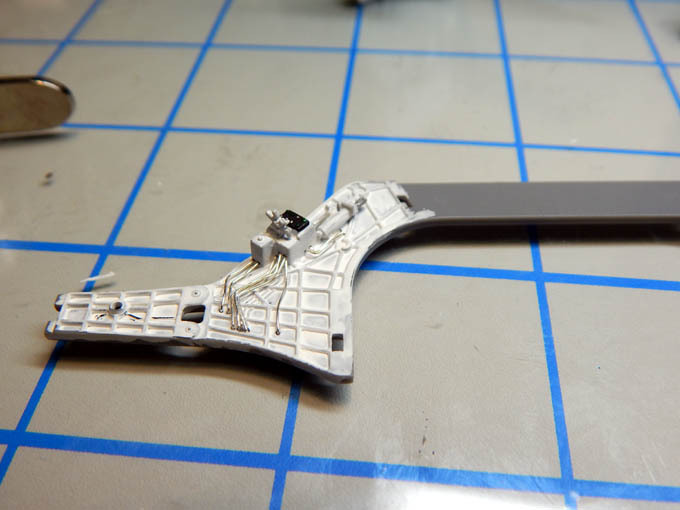 The nice thing about resin parts is they have much better detail than the injected plastic kit parts. The cockpit tub just required a couple of photo etch parts like the pedals and levers then was painted. 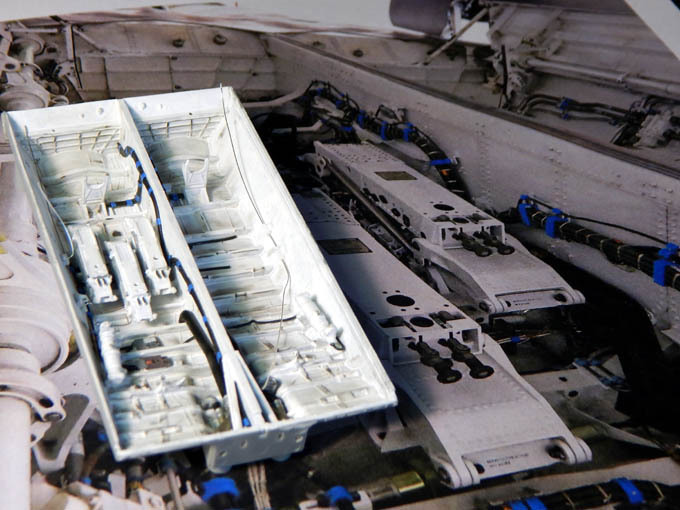 For the resin dash I found a photo of the F-22 dashboard for the F-22 simulator. 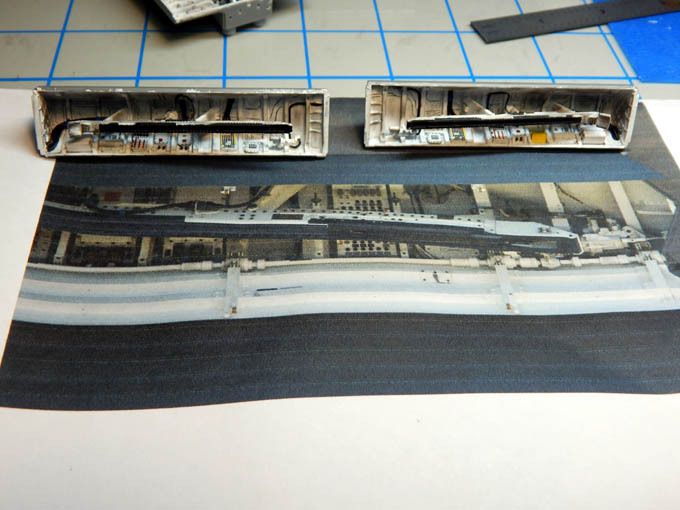 Using Adobe Photoshop I cut and sized the screens to make decals for the resin dash. 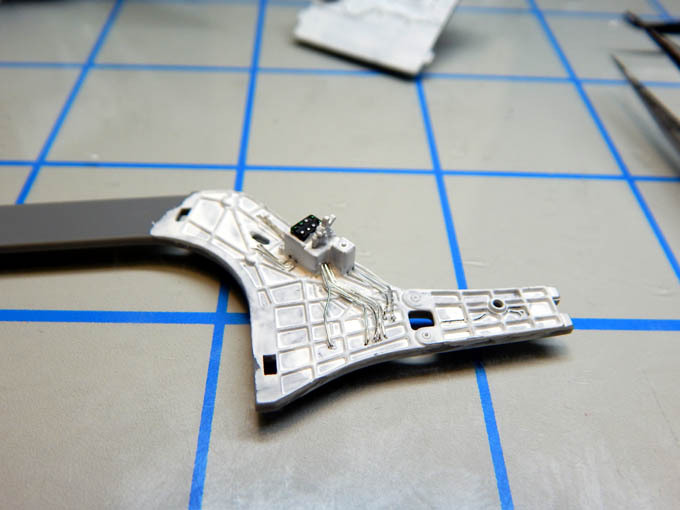 Once the decals were applied and coat with clear gloss, the dash buttons and controls were painted. 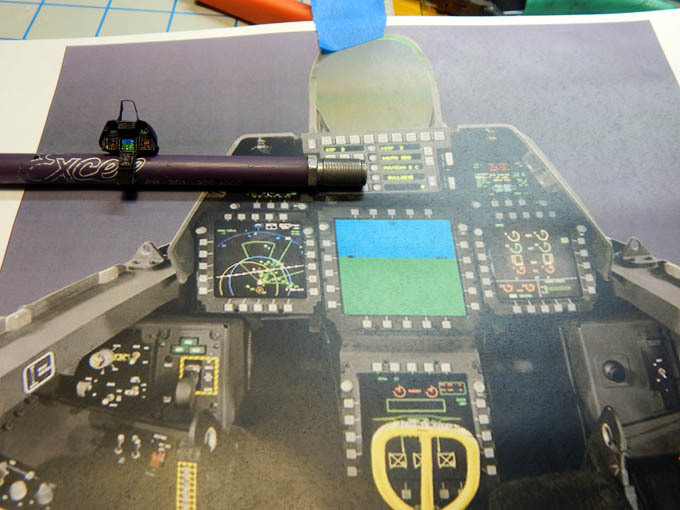 The ejection seat was painted and detailed with the Eduard photo etch parts. 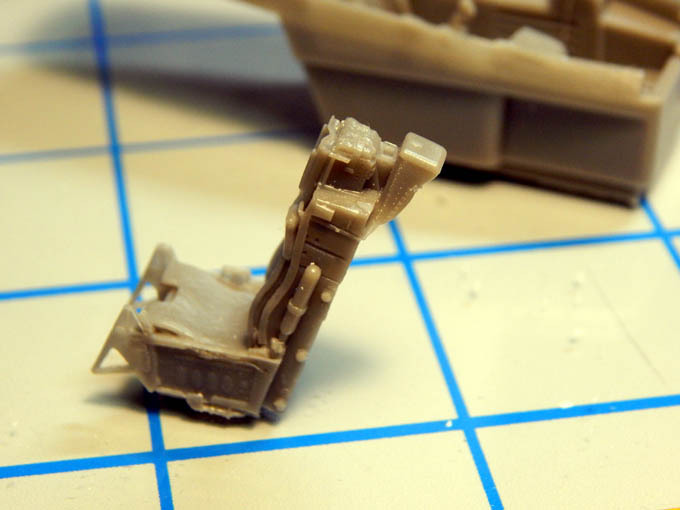 After installing the seat into the cockpit tub the cockpit was weathered with dark gray pastel chalk. 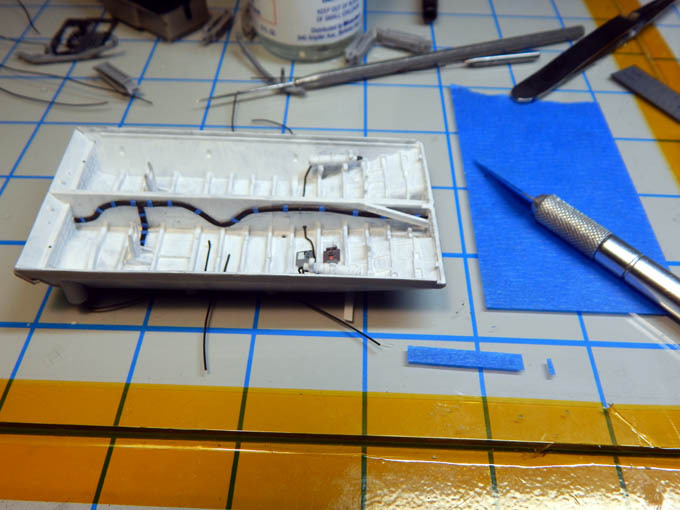 The dash was then installed into the fuselage and resin details were added to the fuselage for the canopy mating hooks. 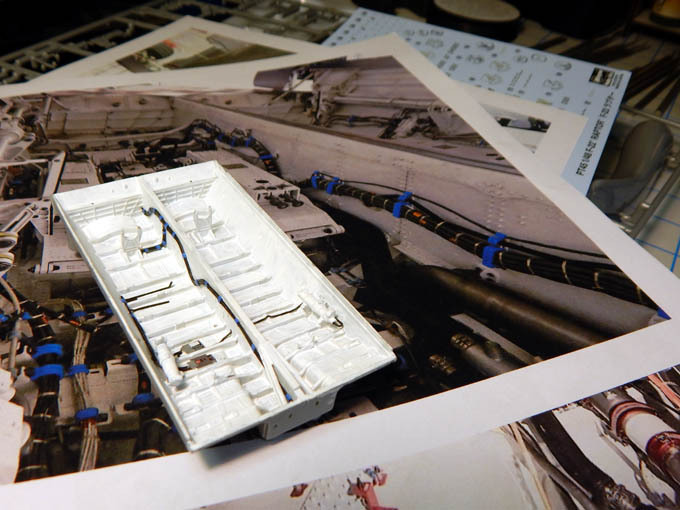 Next I will be working on the main bomb bay section. I found that to be an excellent fitting kit,your extras will bring it to the next level. Weekly update on the Raptor, I started on the weapons bays. First the main bays. I found a photo on Google that gave me a close look at them. Using 32 awg wire with black sleeving I shaped the harness and used CA glue to join them together. I was looking thru my scrap photo etch items to find something I can use for the harness ties. I taped the photo to the wall for reference then realized the blue painters tape was an exact match to the color of the harness ties! I then cut small strips and wrapped them along the harness. 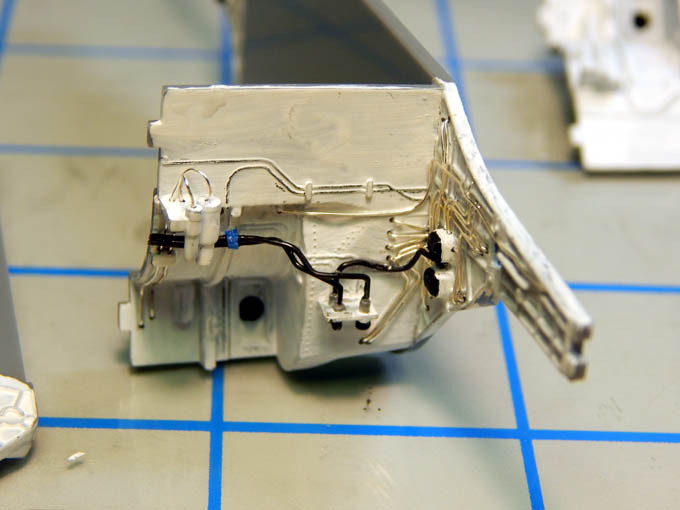 Once all the wire harness’ were built and installed I stripped some wire and used the bare wire to simulate the hydraulic lines. I made my own fittings and ran the lines to the individual launchers as well as left some hanging for when I attach the doors. I added some weathering and used a black colored pencil to color in some of the fine wires. 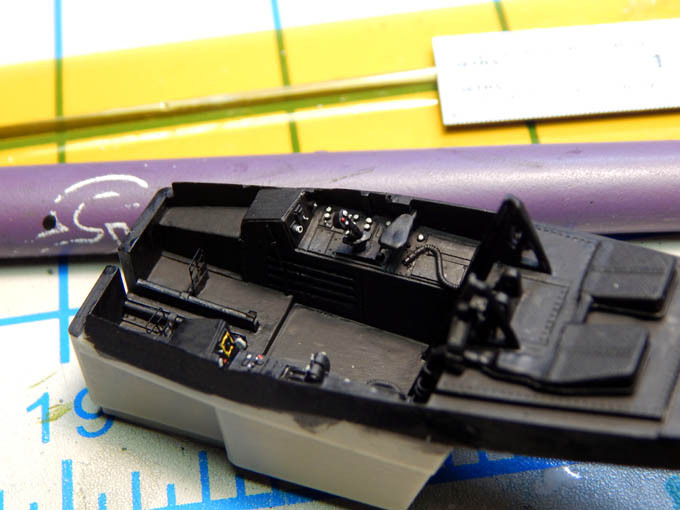 Next I started on the starboard missile bay. 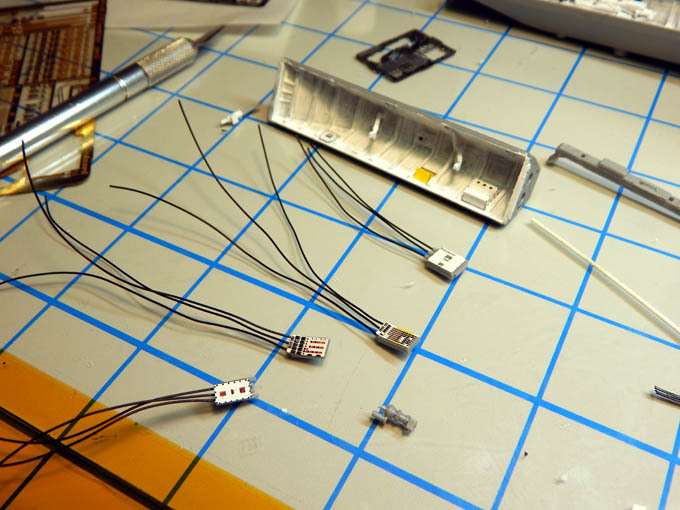 Eduard provided some photo etch parts for the avionics and I then drilled and installed the wires for each. 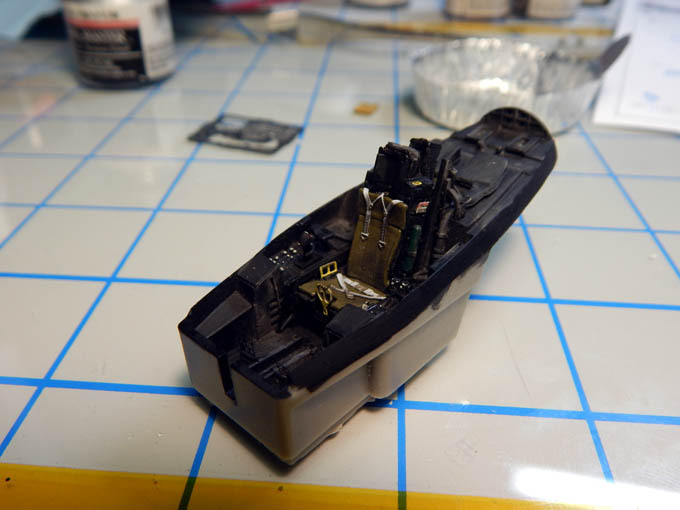 Still need to do some fine details on the missile rail then I can repeat the process for the port missile bay. Spring snow storm update! Yes it is spring and the middle of April but I think someone forgot to tell Mother Nature. Snowing like crazy here. 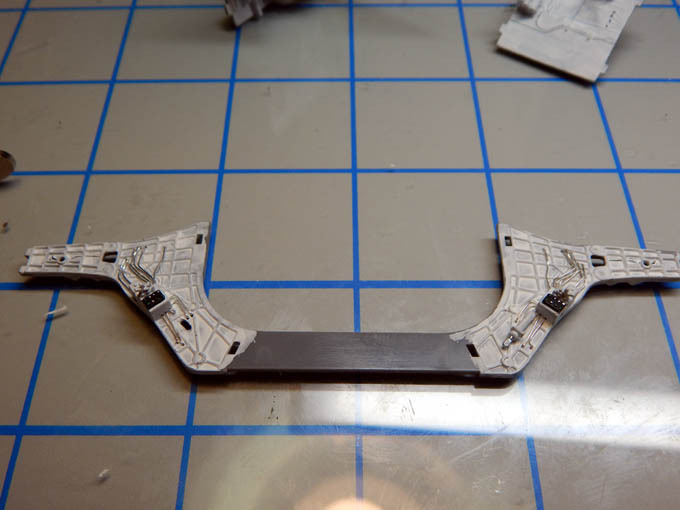 So spent the day finishing the weapons bays and starting on the landing gear bays. 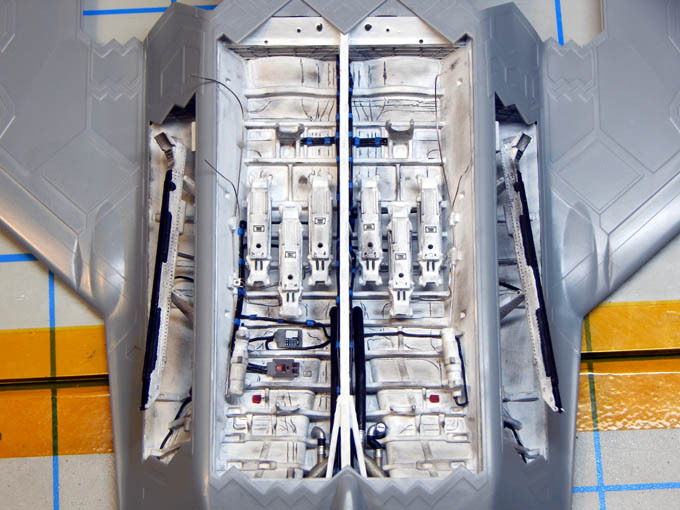 The front landing gear bay is done. 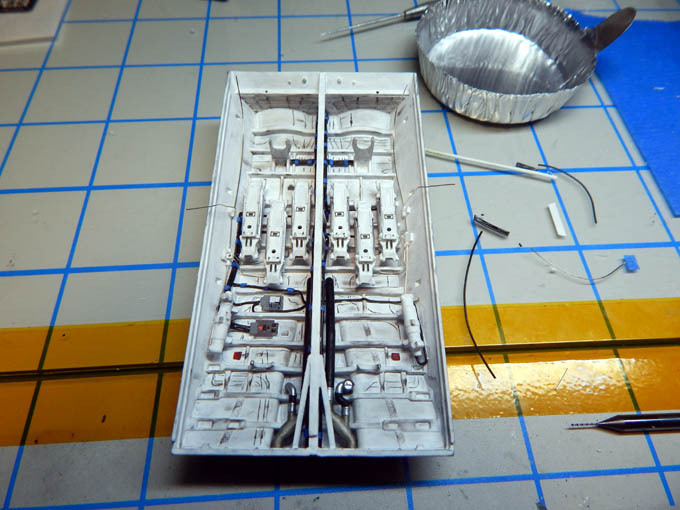 I added some wiring and hydraulic lines as well. 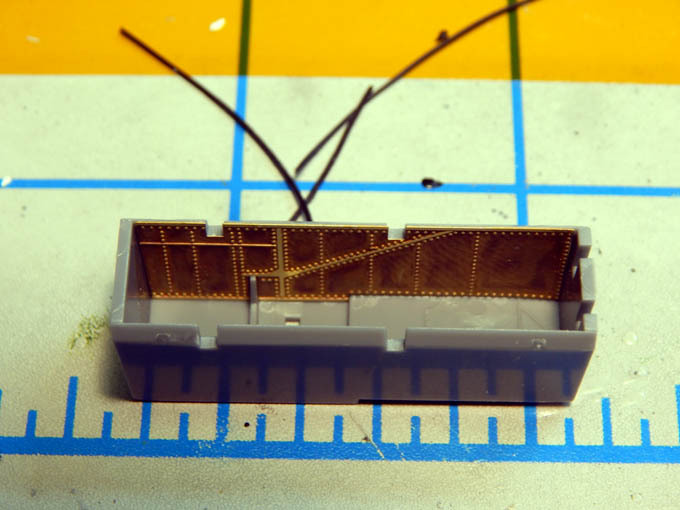 I drew out the shape and laid out the wires then CA glued them together then fit them inside the bay. The photo etch supplied the wall details. 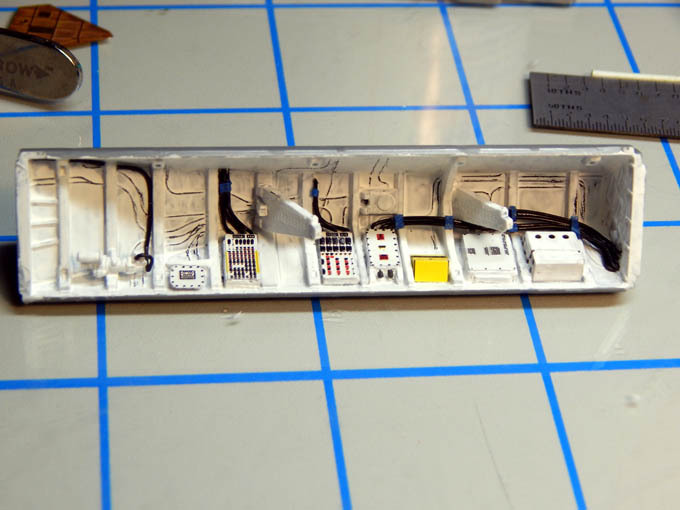 I then glued the weapons and nose landing gear bay into the lower half of the fuselage. Next moving to the main gear then the engines. 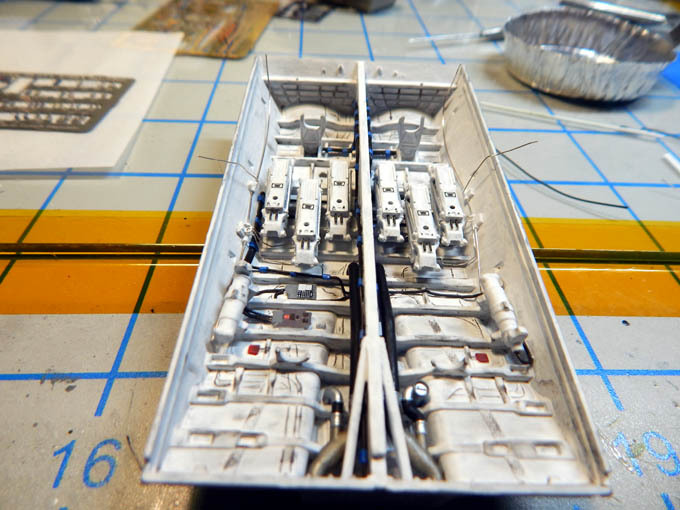 Continuing onward this week I am working on the main landing gear bays. 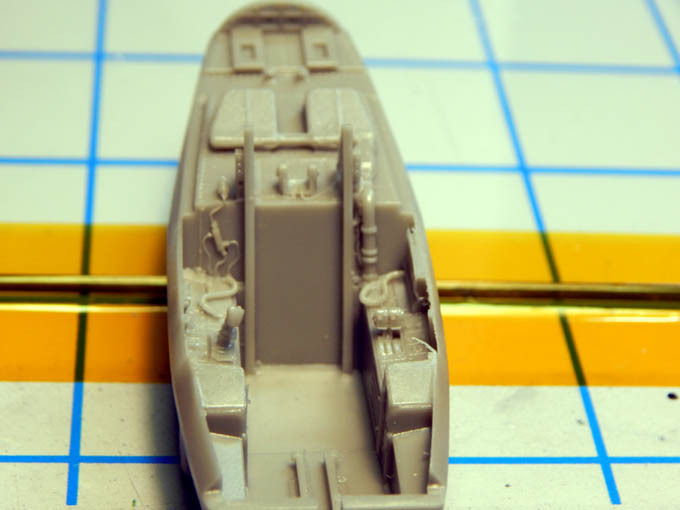 After locating reference photos on Google, I started by drilling many, many holes to install the numerous hydraulic lines. 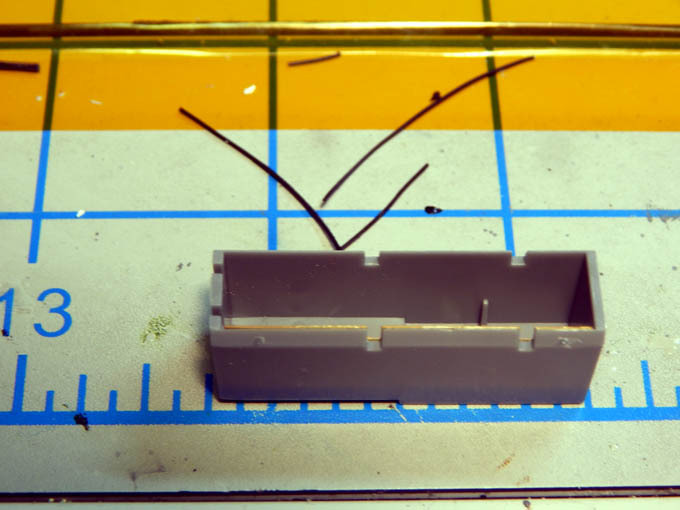 Using a .09 drill bit I drilled out the many locations where the lines go to. 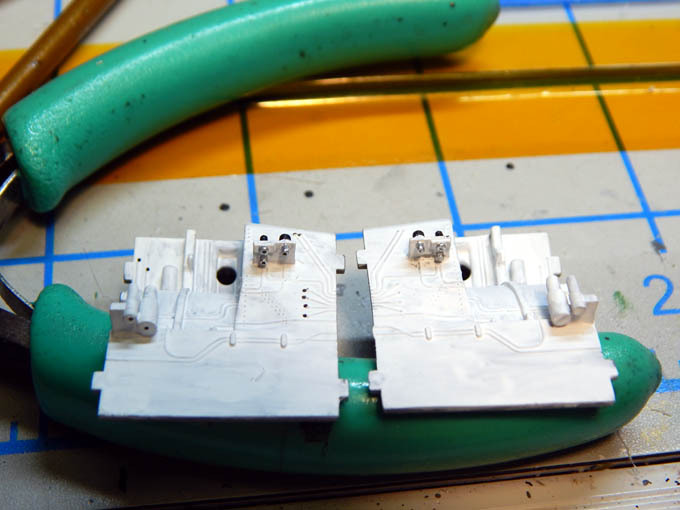 I then took 32 awg wire and ran the individual lines. 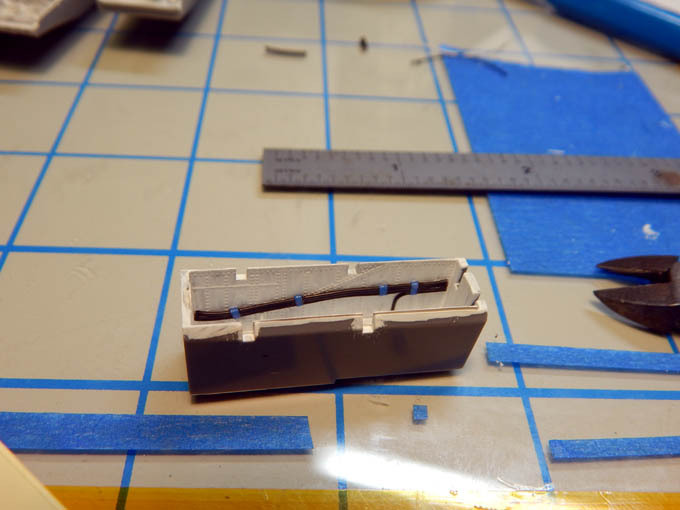 I then added the electrical cables and routed them. 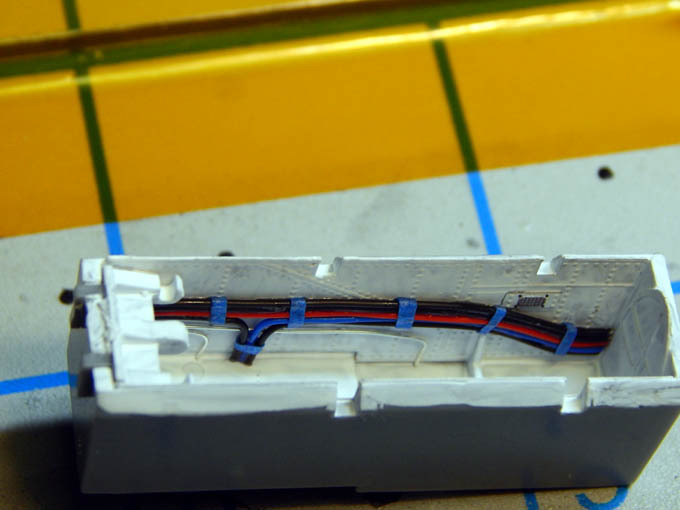 Still have a couple of more lines to run then need to do all the yellow and blue connections and holders on the lines. Then I can weather and highlight the bays. I hadn't seen this build until now and wow you are really super detailing this kit. Keep it up I look forward to more!